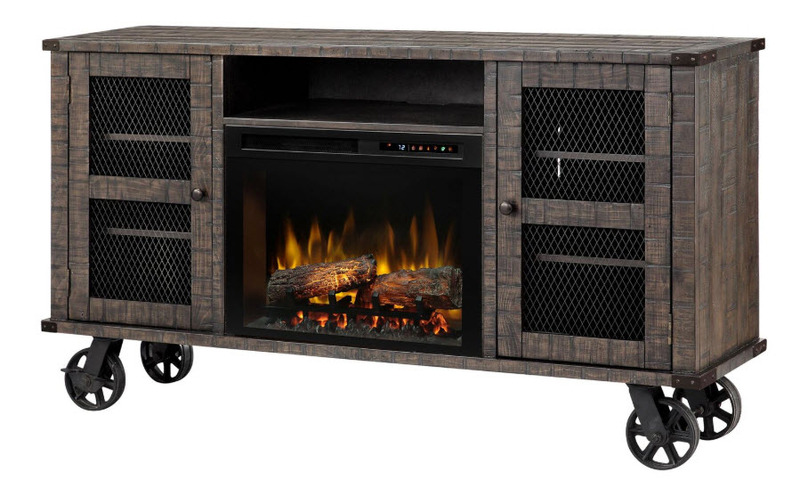 Mesh door fronts and vintage metal wheels give the Duncan Media Console Electric Fireplace its characteristic vintage charm. 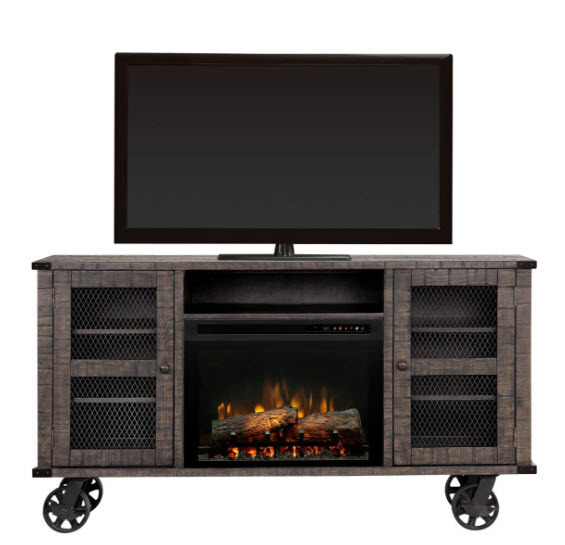 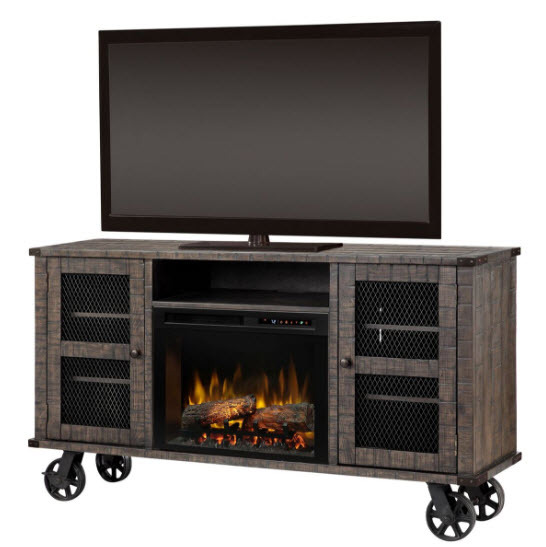 The firebox is framed by cabinets that feature adjustable shelves for décor items, as well as open storage above for media needs. 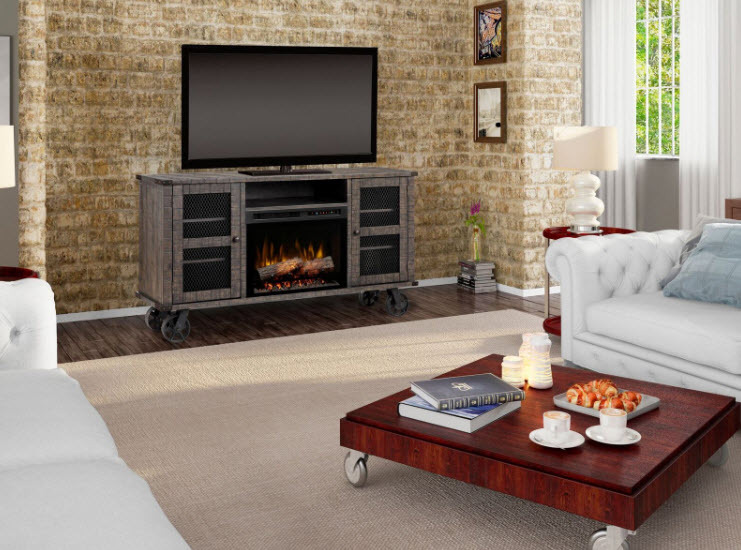 The distressed Pinehurst finish completes the attractive Duncan console for a one-of-a-kind entertainment room centerpiece. 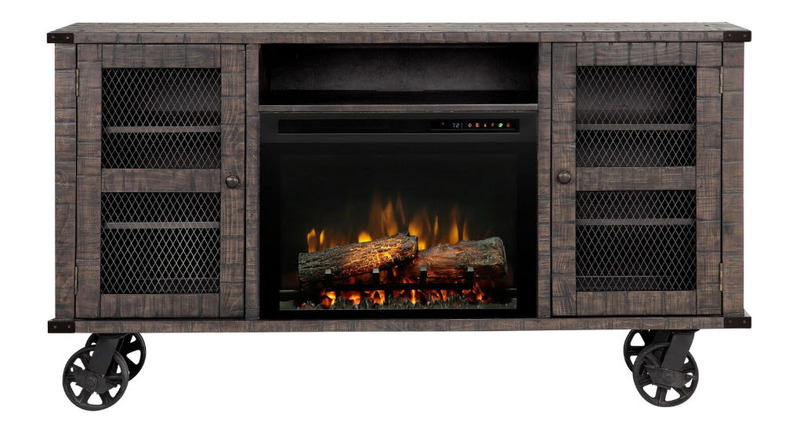 All-season Flames: Enjoy the unique charm of a fireplace 365 days a year using the flameswithout the heat.